The 1st Gateway Credit Union App now puts the power of managing your accounts anytime/ anywhere as close as your mobile device. 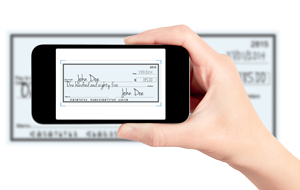 Quickly and securely deposit your checks from anywhere, anytime. Search for "1st Gateway Credit Union"
Message and data rates may apply. 1st Gateway Credit Union is insured by NCUA.